As I thought about it over the weekend, I have come to the conclusion that I am fine with holding two HR certifications. My SPHR will be more of a knowledge based certification and my “SHRM cert” will be competency based. I see them as complementing each other and elevating the professional status of the HR profession as a result. I’m actually looking forward to reviewing and studying SHRM’s competency based materials and completing the requirements to receive their certification as soon as it is made available. If I’m already certified, what do I have to do? Do I have to take another exam? • Document that your current certification is in good standing. • Sign the SHRM Code of Ethics. • Complete a brief online tutorial on HR competencies. Once you go through this process, you will receive the new SHRM credential and will begin a three-year recertification cycle. Earlier this week, SHRM announced it was launching its own HR certification program. The Society for Human Resource Management (SHRM) has announced it will create a competency-based certification program for human resource professionals. 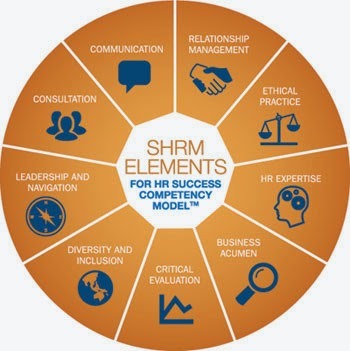 The new HR certification is based on the SHRM HR Competency Model, which consists of nine primary competency domains defined with behavioral proficiency standards across four professional levels – entry, middle, senior and executive. The new certification is focused on teaching and testing practical, real-life information that HR professionals need to excel in their careers. Apparently, Human Resource Certification Institute (HRCI) found out about SHRM’s new program the same time as everybody else. The Society for Human Resource Management’s announcement that it is launching its own HR certification program took some in the HR community by surprise, including the president of the HR Certification Institute, the profession’s leading certification organization. “We’ve had a relationship with SHRM for 37 years and we would have loved for them to talk with us about this, but they chose not to,” HRCI President Amy Dufrane told Workforce. 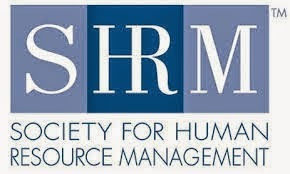 SHRM created HRCI in 1973 to administer certification exams. I find it odd that SHRM blindsided HRCI with this announcement considering that they created the institute 37 years ago and even share the same headquarters in Alexandria, VA. There must be something going on between the two organizations that we don’t know about. You would think they would work together to create/modify/rework the current HRCI certifications. Maybe SHRM tried and was rejected by HRCI. While I proudly hold the SPHR certification, I have always thought that HRCI has too many certifications: PHR, SPHR, PHR-CA, SPHR-CA, GPHR, and the new HRMP & HRBP. Most professions with certifications have just one. It seems SHRM is attempting to address this issue by creating a single HR professional certification which I support. why policies don’t work and is spot on. Here is my favorite quote from the article. If you don’t have policies, then two things happen. You actually have to teach people what to do and how to do it. But wait, you’re supposed to do that anyway. I strongly believe good management eliminates the need for most policies but there are far too many weak and poorly trained managers. They rely heavily on the HR Department and HR policies rather than do the hard work of effectively managing their people. I always resist the request from a manager to write a policy to address a situation they are dealing with. I strongly encourage them to actually train/coach/develop/manage their people. In other words. to teach them what to do and how to do it as Heather Bussing says. This brings me to another excellent quote from the article. …you have to take responsibility for your decisions. Somebody has to say, “I looked at the situation and made the best call for the employee and the company based on the circumstances.” It may be the line manager, or the VP of HR or the CEO. Maybe everyone involved. But that is the right thing to do. Fire people who don’t work out for the reasons it’s not working out. Reward people who are doing a great job. Managers need to have the confidence and courage to take responsibility for their decisions and not lean on a policy for every conceivable situation. We pay our managers to deal with these difficult management situations and we should expect them to act like managers. Dolphins Harassment Case: Players Express Support for Incognito. Where is the Dolphin HR and PR Departments? Yesterday, the media was allowed in the Dolphin locker room and, as I predicted here, a lot of players expressed their support and love for Incognito and “disappointment” of Martin. Incognito the cool guy everybody loves while Martin is the quiet weird guy who is causing the problems. 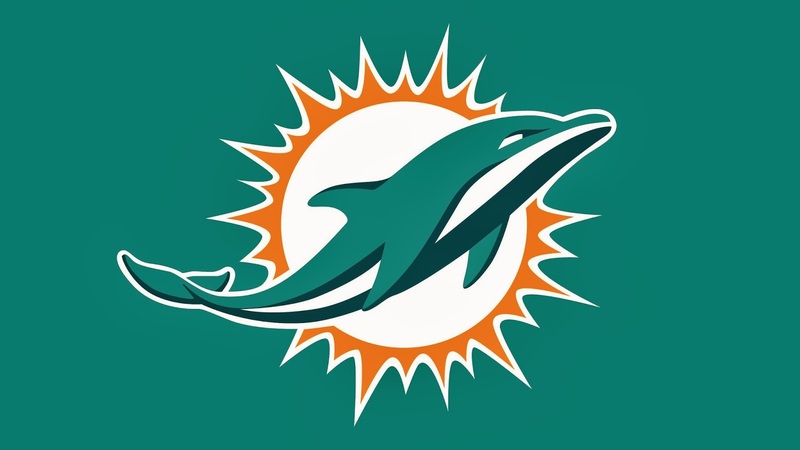 I am a huge Dolphin fan and have been following and supporting these guys for years but my problem is Incognito has a long history of being a bully while Martin does not. Where is the Dolphin HR and PR departments? This is going to come back and backfire on these guys and the team in. The Dolphin HR department should have briefed the players on harassment. Do they even have harassment prevention training in the NFL? I don’t know. Even if they don’t, the smart thing for Ross and Philbin to do would have been to have the training before allowing the media to interview the players. The players may have tempered their comments with the understanding and knowledge of what bullying and harassment is. The Dolphin PR department should have also been involved and had a session with the players giving them suggestions and advice about what and how to say things. The players are employees of the Dolphins and are obligated to represent the organization in the best light possible. As I said earlier, this is going to backfire on the Dolphins and the players who are publicly supporting Incognito and trashing Martin. As I also said here, I am certain that there are players who dislike Incognito but are no even more afraid to say so. The leaders of the Dolphin locker room have taken sides with Incognito. Nobody is going to go against that. What does all this mean? Again – NO LEADERSHIP. Or maybe worse – Bad Leadership. I am attending the 2013 Wyoming SHRM Conference – Passport to HR Knowledge – this today and tomorrow and am looking forward to the presentations and meeting new people. I will not be live blogging since that never seems to work for me but I will be live tweeting throughout the event. I can’t find a hashtag so I will use #2013WYSHRM. I’ve been out recruiting heavily for candidates to staff our processing plant in Wyoming this week and want to share some of the funny and interesting things candidates for the job do. These are examples of what not to do. These are just a few funny examples of what not to do. I have to say, however, there were many more candidates who were prepared and professional and a pleasure to talk with. This is a re-post from www.RichBoberg.com. The mission of the HR Department is to support the company’s business objectives and financial goals by delivering strategic HR Management and excellent customer service to all functions of the company. IRS Rules have been fined tuned in recent years clarifying the difference between Independent Contractors and Employees. The IRS breaks it down into three categories of “Common Law Rules” that need to be considered when providing evidence of the degree of control of the company and independence of the contractor. Its important to understand the elements in these categories which I highlight below. You cannot give certain types of instructions such as what tools to use, who they should hire, where to purchase supplies and equipment, what order or sequence to follow when preforming work, etc. You have to be careful about the degree of instruction you give to them. You should not provide training on how they should do the job. You should not evaluate the work performance that measures the details of how the work is performed. They should have their own equipment and tools. They should be paid a flat weekly or monthly fee. They are free to offer their services to other organizations. They are likely to have unreimbursed expenses in connection with their services. They have an opportunity to make a profit or the possibility to suffer a loss in connection with providing their services. You will need a written contract that clearly states how you will work together. You cannot provide them employee benefits. The relationship should not be something that is expected to continue indefinitely. The services they provide must be the key activity of their business. All these factors must be considered and some may apply and some may not. The key is to consider the entire relationship between the company and “contractor/employee” and the degree to which the company directs and controls the work. Once that is determined, you need to document each of the factors that are used to make the decision. If the determination is unclear, a Form SS-8 must be filed with the IRS who will review the information and make an official determination – which will take at least six months to complete. There are also tax obligations that need to be considered and serious consequences of misclassifying and treating an employee as an independent contractor. As I mentioned in my other blog, www.RichBoberg.com, I came up with the term Hard Hat HR while driving home from a job fair in rural Wyoming. My intent is to create a new HR ‘brand’ that focuses on HR practiced in the ‘hard hat’ industries. While HR is HR for the most part, there is certainly a different consideration that has to be taken in the ‘hard hat’ industries. The focus of this blog will be in the mining sector but I am confident it can be applied to other similar industries. In addition to posting all my HR content here, my goal is to share my HR experiences, both successes and failures, where appropriate. I will also be re-posting all my HR related posts from www.RichBoberg.com in the next few months so it will all be in one place. I’ve discovered a niche in the HR blogesphere/social media world and I am excited to launch Hard Hat HR! You can also follow me on twitter @HardHatHR which I’m officially launching today along with HardHatHR.com. 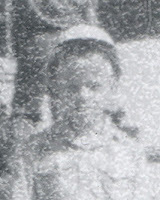 A note on the photo accompanying this post and used as the theme of the blog: That is a picture of me – wearing a hard hat! 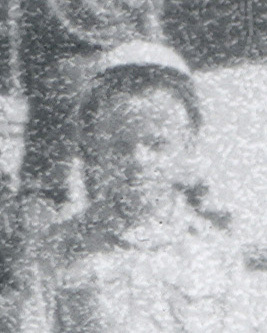 – out in the field at a uranium drill rig back in the 1970s when I traveled around Wyoming with my dad as he worked as a uranium exploration geologist.